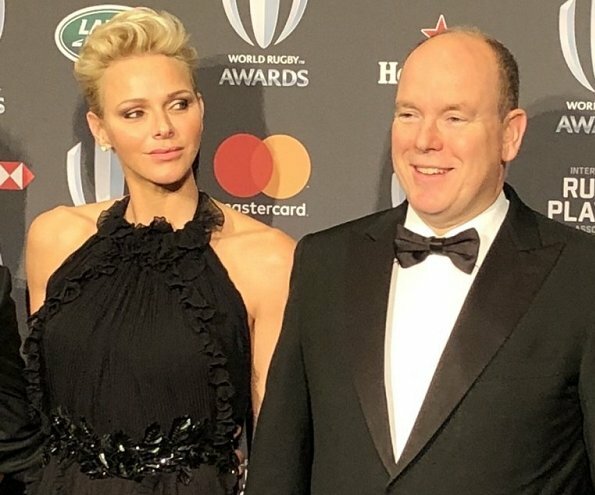 On November 26, 2017, Prince Albert of Monaco and Princess Charlene of Monaco attended 2017 World Rugby Award ceremony held at Monte-Carlo Sporting Club in Monte-Carlo. 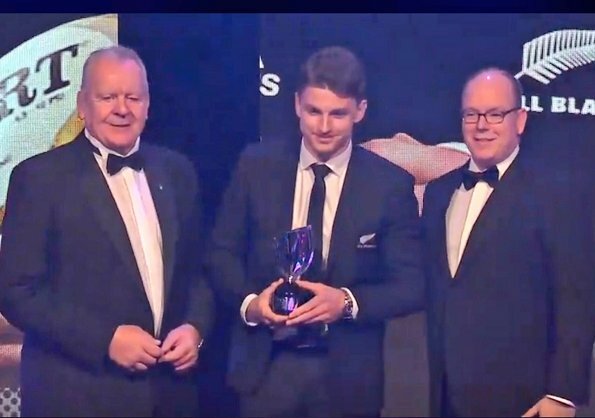 Beauden Barrett and Portia Woodman have been named World Rugby Men’s and Women’s player of the Year 2017 in association with Mastercard respectively at the World Rugby Awards. (Princess Charlene wore a black gown by Gucci). Yay! Looks like Alberta's moustache was just for Movember. Phew! 😊 Charlene looks really good here, like her hair soft when it is this short. Both at this event and on their national day the looks she's giving her husband looks like a woman in love. Nice to see! Charlene looks amazing and I think she brings Grace's beauty and dignity further in Monaco. And hurray, the mustache is gone. This couple is very nice to watch! wow, charlene looks SMASHING!!!!!!!!!!!!!!!!!!!!!!!!! tres chic!!!! Princess Charlenne, as always looks gorgeous.....but I don' t like very much the ruffles on her dress. On the other hand, the colour, shape and lenght are very fitting for the occasion. She should not bare her too wide swimmer's shoulders, and the top of the dress is not nice. The mustaches were grown only for the national day bash with the carabinieri I think. Hopefully Pierre has shaved his as well. 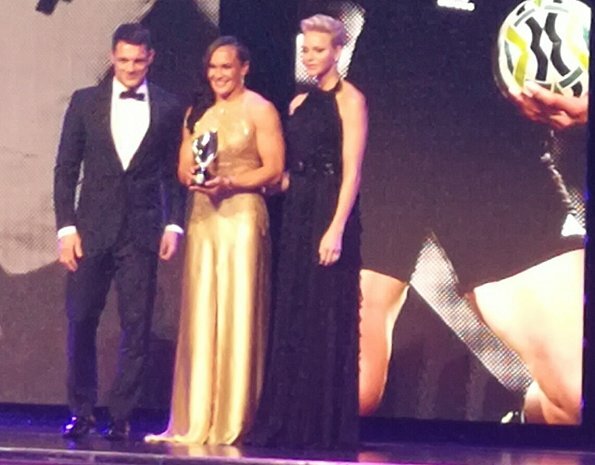 Lovely dress - she looks great. Nice hair and soft make up. Go Charlene. Love the guy in the white sneakers, lol. I like her ruffles. She's so statuesque she can wear anything! She looks beautiful. Charlene is the epitome of elegance, from the top of her head to the tip of her toes! With her statuesque figure she is by far one of the best, if not the best dressed, European royalty. She certainly knows what it takes to look so magnificent and at the same time so relaxed.